INDIAN HARBOUR BEACH! SPECTACULAR TOP FLOOR NE CORNER PENTHOUSE END UNIT! FANTASTIC PANORAMIC OCEAN VIEWS, WRAP AROUND BALCONY & PRIVATE 1 CAR GARAGE! 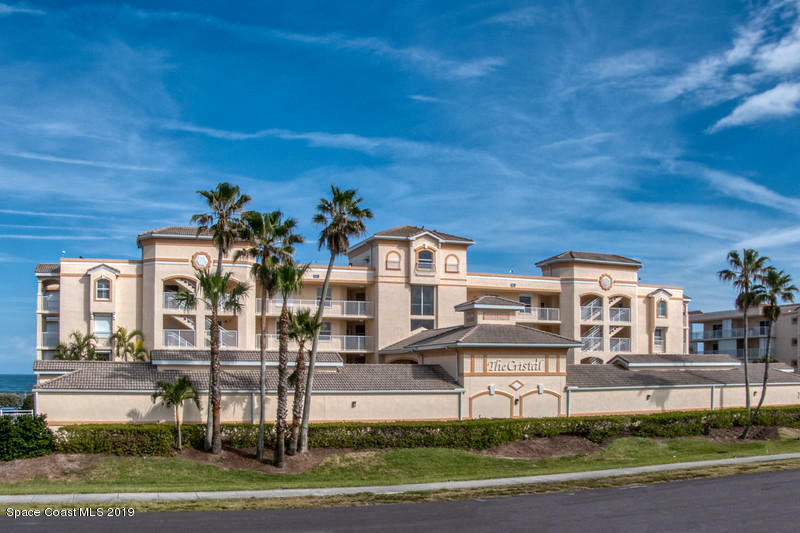 This meticulously maintained condo unit has an open floor plan, plantation & storm shutters, many upgraded features & large master suite with great ocean views! Spacious kitchen w/Corian counter tops, custom cabinets, breakfast nook & huge breakfast bar overlooks the living/dining area with incredible ocean views beyond. Step outside & enjoy the enormous wrap around ocean balcony providing unobstructed ''up & down the coast'' NE views which are priceless for endless sunrises or rocket launches! Unique undercover community pool, clubhouse/exercise room, security elevator & private deeded ocean crosswalk...EXPANSIVE LIVING WITH ELEGANT STYLE! !